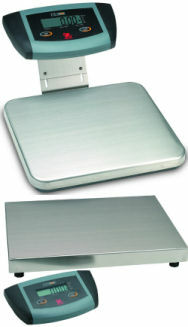 Brecknell GP-USB Series bench scales features a USB virtual COM port that communicates between scale and computer. 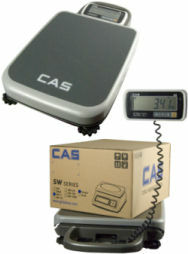 The scale operates on one 9V battery (included), AC adapter (not included) and a USB cable (not included). UPS Worldship compatible!!! 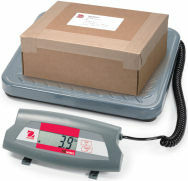 The LSS shipping scale provides reliable and accurate performance for shipping departments looking for a low cost scale. 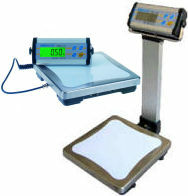 These scales feature a power saving auto shut off feature, large backlight, and hold function. Calibration (needed rarely) can be performed with any mass of know weight which means no more expensive calibration weights. With all metal construction, the PS150 and PS400 series from Brecknell are durable and affordable. 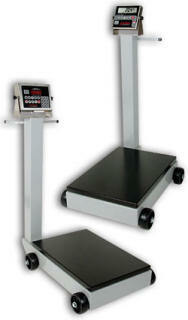 A no frills and affordable platform scale, the PS series are great for shipping departments and portable weighing. Battery operated, the scale features 0.1% accuracy and large push buttons on the remote indicator. 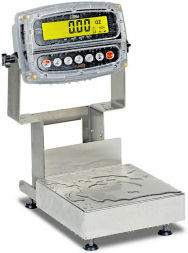 The CPWplus is a multi-purpose industrial scale. All scales come complete with an easy to clean stainless steel top pan on a sturdy steel frame and a remote indicator with a large backlit LCD display which is easy to read from a distance. 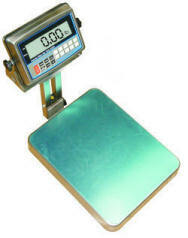 With the standard AC adapter included and the facility for use with dry-cell batteries, the CPWplus platform scales can be used in a fixed location or as a portable scale. The Ohaus SD Series is designed specifically with affordability, utility and everyday usage in mind. 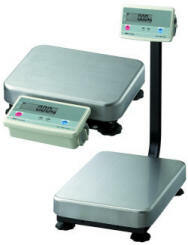 Ideal for home office, mail room, shipping and receiving, and general commercial and industrial dry weighing applications, the SD Series features a durable painted steel treaded platform, a remote indicator with tactile function keys, battery operation and flexible mounting capability. 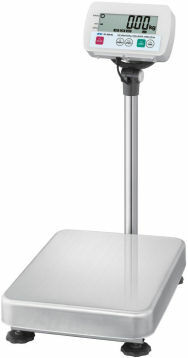 A truly portable scale that can be carried and operated in various locations, the SD Series is your efficient solution to a variety of weighing needs, when you need it, where you need it. 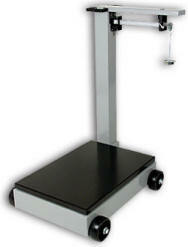 The LPS series portable bench scales from Brecknell are the most complete platform scales in their class. 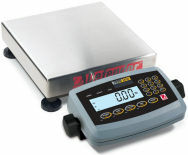 Featuring low profile stainless steel pans, stell encased indicators with large LCD displays, and bi-directional RS232 interfaces, these scales fit the job whether in the pizza shop, mail room or shipping department. The interface comes standard with NCI protocol and can connect to most common shipping software, including UPS and Fedex. The indicators come with a wall mount bracket and desk mount and can be run on battery or AC power. RS232 interface with standard NCI interfaces to most common shipping software including UPS Worldship. 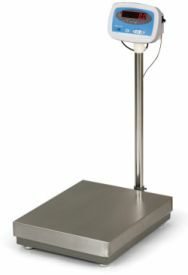 OHAUS Catapult™ 1000 compact bench scales offer users reliable and precise performance in an affordable, compact design. The Catapult 1000 family offers three capacities, from 20 lb up to 165 lb, reading in pounds and kilograms, with both weighing and dynamic weighing modes. 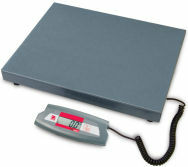 Catapult 1000 scales are easy to transport and carry with built in carrying handles. Other standard features include an AC power pack, as well as battery operation with power saving auto-shut off mode. OHAUS Catapult 1000 series compact bench scales are the perfect solution for home use, general shipping applications, veterinary weighing, and other dry weighing applications where low cost, portability, and precision are required. 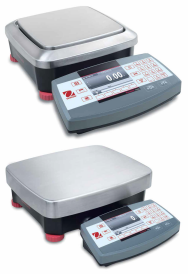 CPWplus M Series scales utilize the same versatile indicator which features 4 weighing modes (lb, kg, oz, lb:oz), a crisp backlit display, color coded buttons with positive click feel, and simple, quick operation. The indicator can be mounted where you need it: on the scale, on a wall, or seated on a desk giving total flexibility for the best viewing position. A bi-directional RS-232 interface allows connection to printers or computers. Using standard commands users can request gross, net and tare weights be sent automatically. The optional Adam data collection software collects scale data and can produce charts and statistics, or export raw data to Microsoft® Excel or Word for further analysis. 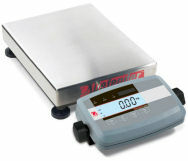 With three capacities to choose from, the Brecknell S100 general purpose bench scale offers advanced connectivity and features with an entry level price. Advanced features such as an LED display, bi-directional RS232 interface, adjustable resolution and 4 filter setting make this a very function scale. 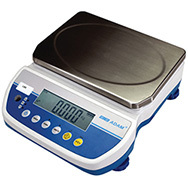 The Adam Equipment CKT Cruiser series of multifunction bench checkweighing scales are versatile scales that perform multiple functions. 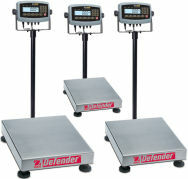 Reliable performance and durable construction make the CKT unmatched in value for industrial weighing. Ideal for many applications, the CKT quickly accomplishes basic weighing, parts counting, and checkweighing, which helps users meet company and regulatory guidelines. Repetitive weighing tasks are fast, with a backlit display that changes colours to show if a sample is under, over, or within the preset limits. The compact design is ideal for limited workspaces or when multiple scales are not an option. The GBK offers all the features needed for weighing, check weighing with LED limit indicators and parts counting application with fully selectable sample or unit weight. Built tough for a variety of industries the GBK can meet the demands of warehouse, production floor or even medical applications. 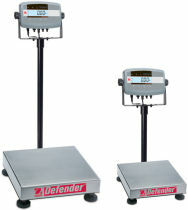 Adam’s ABK scales are built tough to deliver reliable performance and effortless weighing. Designed for rugged industrial applications, the sleek, stainless steel indicator with superior sealing protects from dust, ensuring longevity. The GFK offers all the features needed for weighing, check weighing with LED limit indicators and parts counting application with fully selectable sample or unit weight. Built tough for a variety of industries the GFK can meet the demands of warehouse, production floor or even medical applications. 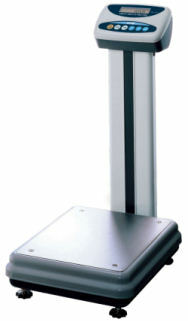 Utility and economy come together in the ES Series of all-purpose bench scales. The low profile design of the ES Series scales makes them perfect for shipping, receiving, and general bench applications. Easy, two button operation and a large display help guarantee accurate and unmistakable results. 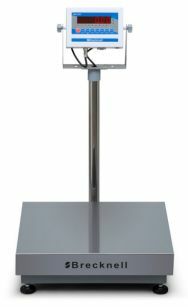 The unique three way mounting bracket allows you to mount the indicator to the scale base, above the scale platform, or on any vertical surface. 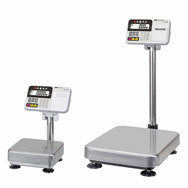 For simple weighing at a favorable cost, the ES Series is the scale to choose. HW-C High Resolution Bench Scale Series feature single enhanced resolution through the entire capacity range. 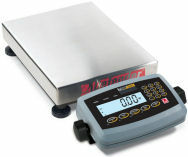 Weighing modes include parts counting, and a large, bright 3-5-7 red-green-yellow comparator function for checkweighing. 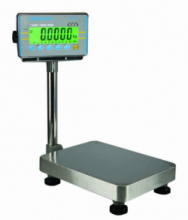 Weighing modes include counting and accumulation function for totaling weigh data. Weighs in lb, kg, oz. 10-digit keypad makes entering comparator limits and tare weights easy. Stainless steel, washdown construction for the most environment challenging applications. 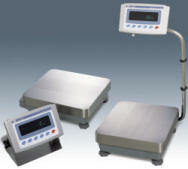 The HW-WP Series platform scales provide many sophisticated features in a durable package. 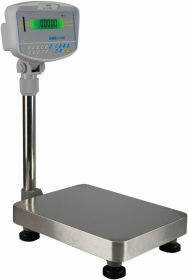 These stainless steel scales are waterproof and dustproof, and provide extensive weighing options. The OHAUS Defender™ 5000 Series is a feature-rich line of bench scales, combining an ABS plastic T51P indicator with rectangular painted steel bases and columns. Ideal for shipping and receiving, production, packaging and general commercial and industrial weighing applications, the Defender 5000 offers a multifunctional indicator with multiple weighing units and software modes to meet the requirements of industrial and lab applications. With rugged construction, comprehensive yet intuitive software and multiple connectivity options, the Defender 5000 can meet the needs of demanding industrial operations. The OHAUS Defender™ 5000 Low-Profile Series is a feature-rich line of bench scales, combining an ABS plastic T51P indicator with painted steel bases. Ideal for shipping and receiving, production, packaging and general commercial and industrial weighing applications, the Defender 5000 Low-Profile offers a multifunctional indicator with multiple weighing units and software modes to meet the requirements of industrial and lab applications. With rugged construction, comprehensive yet intuitive software and multiple connectivity options, the Defender 5000 Low-Profile can meet the needs of demanding industrial operations. The OHAUS Defender™ 7000 Series is a feature-rich line of bench scales, combining an ABS plastic T71P indicator with painted steel bases and columns. 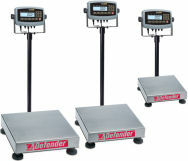 Ideal for shipping and receiving, production, packaging and general commercial and industrial weighing applications, the Defender 7000 offers a multifunctional indicator with multiple weighing units, alpha-numeric keypad and software modes to meet the requirements of industrial and lab applications. With rugged construction, comprehensive yet intuitive software and multiple connectivity options, the Defender 7000 can meet the needs of demanding industrial operations. 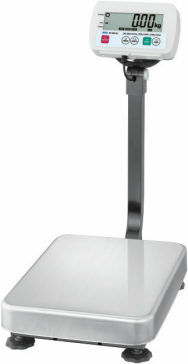 The OHAUS Defender 3000 Xtreme Series economy line of bench scales is ideal for general weighing and simple counting applications in wet or damp environments. The Defender 3000 Xtreme Series feature a simple, yet rugged, tubular-frame base design and indicators with tactile keys, backlit LCD display and flexible mounting capabilities. The Defender 3000 Xtreme Series is the solution to your weighing applications that require dependability within an affordable budget. 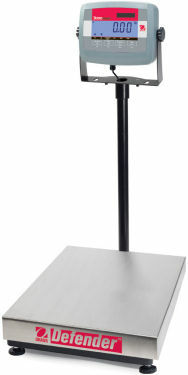 The SC Series bench scale is constructed with a completely sealed indicator and awashdown base that meets IP68 standards. It provides exceptional performance with a stabilization speed of just 1 second! Simplifying Even the Most Complex Industrial Applications. For Ranger 7000, there is one resounding theme: it offers the best of every ingenious feature that make OHAUS industrial products the right tools for your toughest weighing jobs. Ranger 7000 boasts the highest resolution, largest display, most application modes and connectivity options, as well as the largest memory library of any industrial bench scale in the OHAUS portfolio. Advanced Features Take Industrial Weighing to the Next Level - Ranger 7000 has ten advanced application modes for a variety of complex applications which minimize the need for manual calculations, and can also control peripheral devices and/or a scale platform with option kit. Fast Performance and Legal for Trade Certifications assure Accurate Results - With a one second stabilization time, up to 75,000d or 350,000d display resolution and legal for trade certifications, Ranger 7000 provides the precision that cannot be matched by any scale in its class. Sturdy Industrial and Modular Design Support Flexible and Heavy-Duty Use - Ranger 7000 was developed to thrive in rugged and harsh industrial environments. This modular scale was built with IP54 cast metal housing and sealed metal indicator to ensure durability. Cutting-Edge SmarText™ 2.0 Software Powers the Technologically Advanced Ranger 7000 - With SmarText 2.0 software and a 4.3 inch graphic display, the advanced functionality of Ranger 7000 is simple to use with minimal training. The OHAUS Defender™ 7000 Series is a feature-rich line of bench scales, combining a stainless steel D71XW indicator with a rectangular, painted steel base and a painted steel column. Ideal for shipping and receiving, production, packaging and general commercial and industrial weighing applications, the Defender 7000 offers a multifunctional indicator with multiple weighing units, alpha-numeric keypad and software modes to meet the requirements of industrial and lab applications. With rugged construction, comprehensive yet intuitive software and multiple connectivity options, the Defender 7000 can meet the needs of demanding industrial operations. The OHAUS Defender™ 5000X Series is a feature-rich line of bench scales, combining an ABS plastic D51XW indicator with rectangular painted steel bases and columns. Ideal for shipping and receiving, production, packaging and general commercial and industrial weighing applications, the Defender 5000 offers a multifunctional indicator with multiple weighing units and software modes to meet the requirements of industrial and lab applications. With rugged construction, comprehensive yet intuitive software and multiple connectivity options, the Defender 5000 can meet the needs of demanding industrial operations. 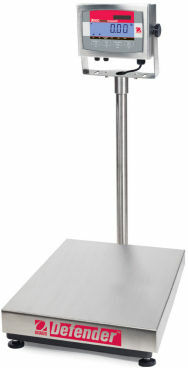 The Admiral series stainless steel WASHDOWN bench scales are designed for speed and accuracy and come in a variety of capacities and platform sizes. 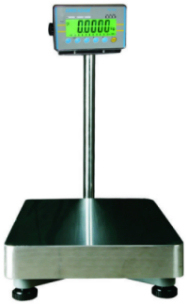 The extremely heavy-duty scale platform provides a stable base for high-usage, food processing applications.Additionally, the scale column's flow-through design avoids the build-up of unnecessary materials and water collecting in crucial weighing areas and helps provide a clean weighing environment for sanitary locations. 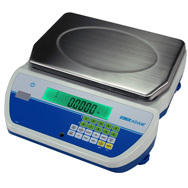 The Admiral series scales are built with the operator in mind for ease of use, and the stable weight display is positioned at a proper height and tilts, so that it doesn't impede on the product being weighed when performing keypad entries. ColorZONE is the solution for efficient time management during your checkweighing processes. The bright, vivid display, changes color automatically as the pre-assigned target weights are reached. You know immediately when you’ve hit the acceptable weight range. The Admiral displays amber for under weight, green for accepted weights, and bright red when weights exceed the upper weight limit. The target weights are easy to assign through the scale’s capacitive touch keypad and can be changed quickly as different sized products are weighed. 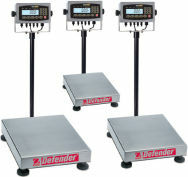 These "legal-for-trade" digital platform scales provide fast, portable, accurate performances that let the weighing come to where you need it. Enjoy digital speed and precision with your choice of weight indicators to suit your specific needs. 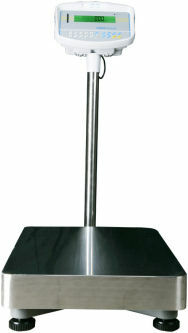 Large 5” diameter heavy-duty rubolene wheels make the scales easy to roll wherever they are needed. 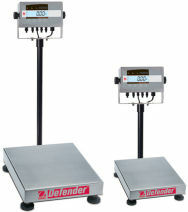 The GP Series incorporates A&D's enhanced weighing sensor, Double Leveraged Super Hybrid Sensor (SHS). 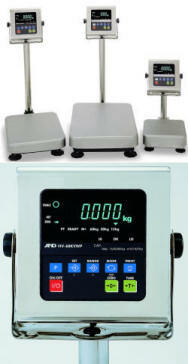 This technology brings the most accurate weighing results to high precision balances in 12kg to 101kg.